MINNEAPOLIS — Ilhan Omar, Minnesota State Representative and current Democratic candidate for Congress in Keith Ellison’sdistrict, has done some questionable and potentially unethical things. She paid the attorney who handled her divorce with campaign finance funds and violated Minnesota House rules for accepting honorariums from the Minnesota State Universities while she is on the committee that makes funding and policy decisions for public colleges and universities in Minnesota. Never mind the fact that Omar is still embroiled in the controversy that she allegedly married her brother and committed immigration fraud. An article released last week by PJMedia’s David Steinberg provided further proof that Omar’s “legal” husband, Ahmed Nur Said Elmi, was her biological brother, continuing the two-year-old saga. But this election season could have been a lot weirder in Minnesota by having a candidate on their ballot who allegedly was convicted of stabbing people. That potential candidate reportedly served as the campaign “muscle” for Ilhan Omar. Back in January 2018, another Somali immigrant from the state of Ohio who moved to Minnesota almost threw his hat in the ring for Minnesota state representative in District 62A. In his campaign announcement, however, there was no mention about his arrest in Columbus, Ohio where he pled guilty to aggravated assault on July 9, 2015, which in Ohio is a Level 4 felony. According to Columbus, Ohio online police reports, the incident occurred on Thursday, July 3, 2015 at approximately 3:10A.M. Officers and medics were dispatched to 3341 Derbyshire Drive, Apartment A on a report of a person who was stabbed. Upon arrival, officers found the victim suffering from multiple cuts and lacerations. The victim was transported to the hospital in stable condition. The police report said officers also found two additional victims at the scene who also sustained various wounds from being stabbed with a knife. The victims identified the suspect and indicated the incident occurred as a result of a disagreement and fight between the suspect and victims. The report stated all of the victims were expected to recover from their injuries and the suspect, Guhaad Said was arrested at the scene. Online documents from June 2017 state that the court sentenced Said to twenty-four months under basic supervision and 30 days in the Franklin County Corrections Center (FCCC). Following Said’s release from FCCC, the probation department transferred the lead probation agency to Hennepin County, Minnesota. 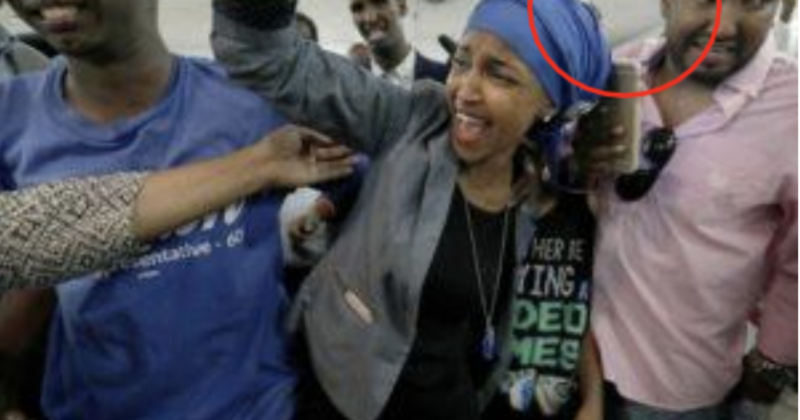 An October 2016 post on the blog “Somalispot” by a poster named “Semiogogue” said Ilhan Omar had someone on her campaign team who was “arrested for stabbing people” although the post didn’t specifically name Said. Somalispot is the blog where Powerline’s Scott Johnson first received the tip about Omar’s marriage to her brother back in 2016. Ohio law recognizes five classes of felonies. According to CriminalDefenseLawyer.com, fourth degree felonies in Ohio are punishable by 6 to 18 months in prison and fines up to $5,000. Currently, there is no affidavit of candidacy in 2018 for Guhaad Said filed with the Minnesota Secretary of State’s office, despite his announcement of candidacy earlier this year on social media. Apparently, he decided not to run. Guhaad Said made news in Minnesota in 2016 when he served as the “muscle” for the campaign of Minnesota State Representative Ilhan Omar, who became the first Somali-American state representative in the country. 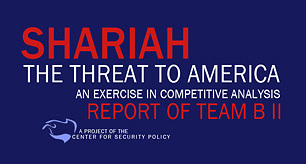 Other sources within the tight-knit Somali community told Alpha News of the fear they faced on a daily basis. One source said, “I very much doubt any Somali will publicly come forward and speak about this story (Omar’s marriage to her biological brother) not only because of the repercussions they could face here in Minneapolis, but also because of the potential harm doing so could bring to their loved ones in Somalia. There is no rule of law there and the risk posed by blow back from this is too high. It is no coincidence that this was first exposed on an anonymous Somali forum.” The forum referenced here was again the blog, “Somalispot”. A source told Alpha News that there is a real fear of potential harm to family members still in Somalia as Omar’s “cultural husband” Ahmed Hirsi and Guhaad Said are well-connected in Somalia. Guhaad Said was also a candidate for parliament in Somalia’s federal government as recently as 2016, according to social media posts. And now, two years later, he wanted to run for the Minnesota House, as evidenced by his campaign photos and announcements on social media. According to the website hipaaspace.com, Guhaad Said is the owner of Accent Adult Daycare, with an address in Minneapolis. The phone number associated with this business has a 614 area code, which is the area code for Columbus, Ohio and its close suburbs. Senate District 62A is located in Minneapolis and is currently represented by Karen Clark (DFL) who announced in December 2017 that she would not be seeking re-eletion. Clark has been in office since 1981. District 62A includes portions of the Whittier, Phillips, Ventura Village, Seward and Lyn-Lake neighborhoods. It appears as though Guhaad Said is working closely with Ilhan Omar’s campaign, as the Somalian source told Alpha News. His social media is full of pictures of himself working on the campaign trail with Omar and other campaign volunteers. His page at first glance appears to be entirely dedicated to promoting Omar’s candidacy and campaign events. In one personal Facebook post posted by Omar herself, she tagged Guhaad Said. Ilhan Omar’s campaign did not reply to Big League Politics’ Request for Comment regarding Guhaad Said, a Somalian immigrant who has a criminal record, and what his specific role in her campaign truly is. Omar is currently running for Congress to take over Keith Ellison’s seat in Minnesota’s 5th Congressional District. 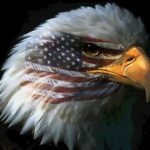 Read more about Ilhan Omar’s corruption, fraudulent marriage, her Jew hatred, and violations of campaign finance law here. WATCH: Laura Loomer confronts Ilhan Omar, asks her why she married her brother. Previous articleFormer Obama Security Clearances Removed – Liberal media in a frantic stir!